Scott is a local to the Eldorado area where he lives and operates his family's ranch. He has been hunting and guiding in Texas since he was in high school and grew up hunting and fishing in the areas that he currently works in with Magnum Guide Service. Scott holds a Bachelor's Degree in Animal Science with an emphasis on genetics and breeding of livestock and wildlife from Texas A&M University. During his time at A&M, he practiced genetics operations at the Global Genetics Lab in College Station. He also earned credentials to become a certified farrier and worked as a local fabricator. Scott joined the MGS team in the fall of 2015 as the full-time lead guide. When he is not working, he is spending quality time with his his wife, Brittany. 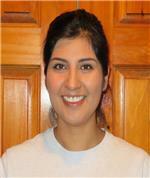 She is a local to Eldorado as well and teaches 4th Grade at Schleicher County ISD. Scott and Brittany share a love for the outdoors. They spend summers traveling, fishing, and enjoying each other's company. The love of the LORD and the hunt has afforded Scott the opportunity to pursue game in many areas, as well as, an avenue to bring his family into a lifestyle that he is passionate about. From the northern woods of Maine to the hill country of Texas, from the prairies of Nebraska to the swamps of Florida Bob Young recently achieved a Double Grand Slam of the four sub-species of the Wild Turkey while traversing many states in between. Bob lives in Vermont with his wife Sandy and owns and operates his own Fly Fishing guide business for trout in Vermont and nearby New York. He began making his own turkey calls at the age of fifteen and went on to win several local, state and regional Wild Turkey calling contests during the 1980’s. In recent years he has designed and built custom box calls with a particular appreciation for northern hardwoods, each call earning their nickname based on their performance. Bob gained an appreciation for Magnum’s family oriented operations and the game-rich environment in Texas and then joined the Magnum team during the 2014 spring turkey season. 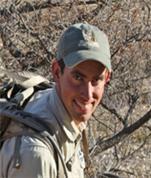 Neil graduated from Southwestern University and is the owner of The Outdoorsman, a West Texas sporting goods store. He has guided spring turkey hunts for MGS for the past 20 years and has 3 boys and a daughter that love the outdoors as much as Neil does. He is licensed in New Mexico and also certified in First Aid. 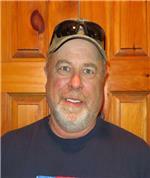 Glenn currently lives in Pennsylvania where he is a sales representative for Top Calls. 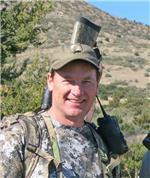 Glenn has been traveling to Texas for the past 19 years to guide turkey hunts for MGS. Russ is one of the owners of Top Calls in Renovo, PA. Top Calls was established in 1994 as a Game Call Company with a vision. The vision was to produce some of the finest Quality Handcrafted Game Calls on the market today. Russ first came to Magnum as a turkey hunter over 20 years ago and comes back to Texas each spring to guide Magnum turkey hunters. William manages a 80,000 acre ranch in Laredo, TX. 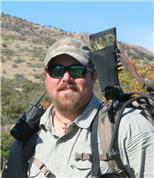 He grew up in Ft. Davis and is an accomplished guide for aoudad, exotics and predators. He joined the Magnum team in 2009. Jaime grew up in rural Schleicher County and had the opportunity to start hunting at a very young age. Harvesting his first deer at 5 years old, his love and passion for hunting has done nothing but intensify over the years. 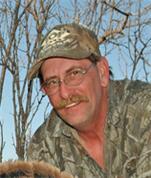 Jaime enjoys guiding whitetail deer, turkey, exotics and his favorite, Texas predators! 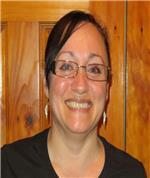 Sandy currently lives in PA and joined the Magnum Team in 2004. 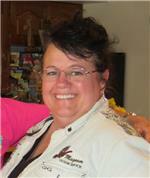 Sandy is a great cook and loves to hunt and fish with her husband, Glenn, who is a Spring Turkey Guide for Magnum. Amanda joined the Magnum Team during the fall 2011 whitetail hunting season. She is from San Anglo, TX and is retired from Verizon. 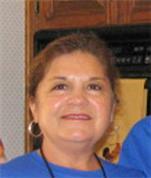 She is an excellent cook and is experienced cooking for large crowds.